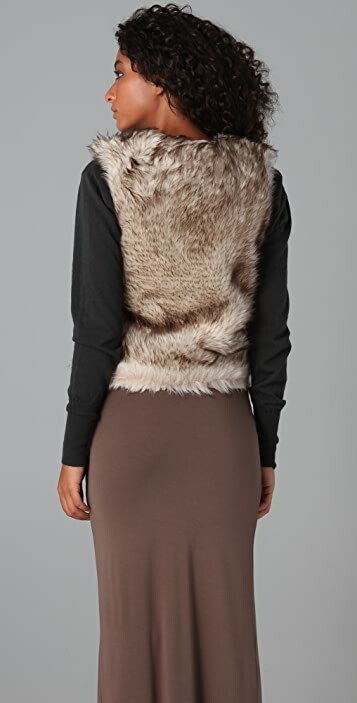 This faux fur vest features a 5 hook-and-eye closure. Lined. 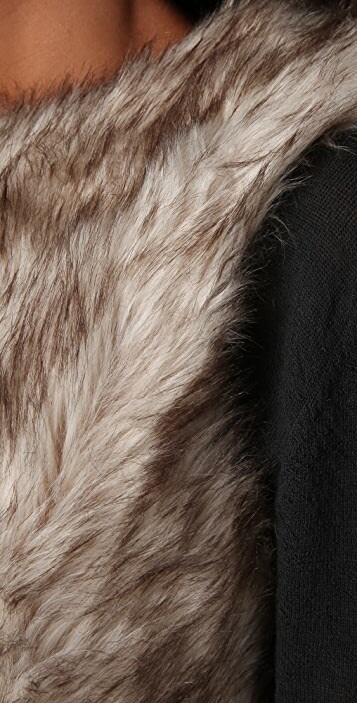 * Shell: 70% acrylic/30% polyester. * Bottom layer sold separately. 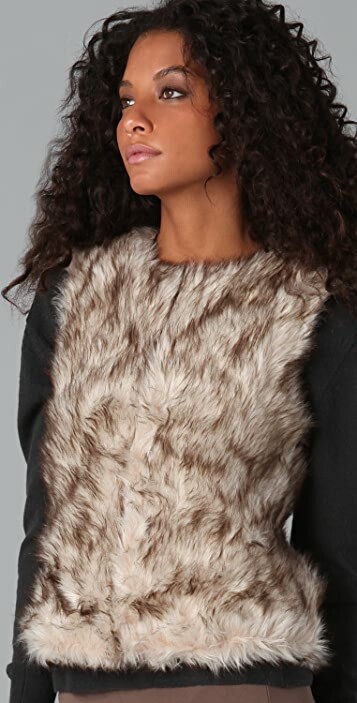 I was concerned that the faux fur would look cheap given the vest was inexpensive, but was surprised that it is soft and pretty. Although fairly small (5'1'' and around 48kg) I ordered a medium to allow for my bigger bust - I thought it might overwhelm me but it's fine. Overall the finish and quality is really nice and it will be a good fun winter thrown on. Very happy.